* Total number of reviews and star-ratings are based on data collected during the time period Pure Water Inc. has been using the ReviewBuzz system and may not directly match the data found on each public review site. Jim has been here for 15 years. He is exceptual..well informed and excellent to work with. I appreciate his service and look forward to many more years with him!! Jim and Nic were professional courteous and very efficient it was not an easy installation and it was done in a timely manner in one day . 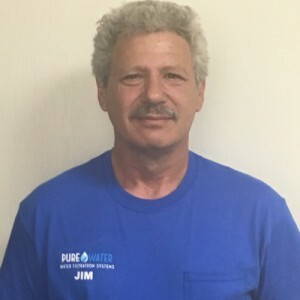 Jim reviewed the whole system and gave me a bunch of additional information on water systems in general which was very interesting I thoroughly enjoyed talking to him he is a skilled tradesmen and a very good representative for your company . Score "0". You never showed up. Have used them for years, fast friendly service. Today Nicholas came out ,very professional, and friendly. He explained everything he was doing and the cost of the equipment before he did the work. He educated me on my system and made recommendations on what was best for me. Thanks Nicholas see you in 9 months. Now Pure Water calls me to tell me I'm due for the annual service. Service shows up and spends about half an hour testing the water. Then he tells me there's nothing to do the first 5 years. That cost another $185. I bought a new Pure Water system to soften my city water. Now my water was was pretty good already. Within 6 months a valve failed in the system and it began leaking water. They came out and replaced the part, but charged me $185 for the service call. I feel that was poor customer service relations. They should have gone after the manufacturer for this cost or at least covered it since they did the install and the system wasn't abused and water is city water. It was only 6 months old. We have been customers of Pure Water for 19 years and they have never disappointed. We have had amazing water and great service for the totality of our partnership. I highly recommend them to anyone on a well or just wanting amazing water. Jim called me before he arrived and was on time. He explained everything to me and did a very good job getting my water softener repaired. Friendly knowledgeable service.Trys to help you with the problem . If it can't be fixed , then they will suggest a new product. Jim is an excellent service professional. He has been coming to us for several years now and is always prompt, excellent and helpful. Thanks so much Jim! They have honored their commitment to keeping our water pure. There was a mechanical malfunction last Spring that was fixed with no cost to us, under warranty. It could have been very expensive. They have been our service team for a number of years, including our previous home in Roseville and our daughters, when she lived in Penryn. Have used Pure Water for years and are very happy with their service and help solving our well and water problems. Also would like to highly recommend Jim! To have good water is always a problem when you live in the country side. For a number of years we had different companies helping us, but it was not until we contacted PureWater, that all our problems were solved and for the last 6 years we have have great water. People visiting us, ask if they can fill bottles of water and take it home with them, since they like our water so much. Great service, excellent company! They have been servicing our house for 3 years and they never disappoint! Thanks Pure Water! We have had a Pure Water system for our well for about four years. The system has improved our water quality remarkably and saved our appliances from being ruined. 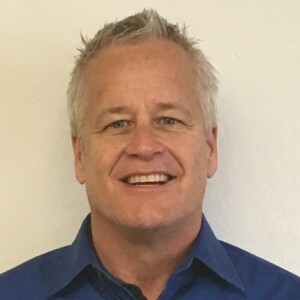 Our annual service is performed by Jim who is highly knowledgeable, professional, and on time. Nick was very knowledgeable and personable. He was efficient and thorough in his analysis of our water treatment equipment. He answered my questions, made suggestions and provided long range prospects for our unit with cost-benefit projections. Customer service is always a top priority at Pure Water Inc.. Our BBB Membership rating is like a badge of honor as we continuously strive to provide the best experience for our clients. We have been clients of Pure Water for a long time and have always received great service. Jim and Nicholas are always eager to answer questions - joke a little and play with our dog, Lincoln! Their advice is well-taken and honest. They also clean-up after their service and we are left with a well-running system. Thanks! Nicholas was extremely professional, efficient, and conscientious. Very friendly, too! This company is very reliable. We been customers for 18 years. Friendly, knowledgeable people. My wife and I bought our Pure Water Softener System almost 3 years ago and this is our second time getting it serviced. Nicholas did a good job with the maintenance on our equipment and we appreciate all of the help. Thank you Pure Water! Stephen was courteous and professional . He is very knowledgeable regarding soft water and did an excellent job. Excellent service. Friendly and knowledge.